This course to prepare registered nurses to train DD personnel to administer medications and perform health-related activities, administer tube feedings and medications, and/or perform insulin injections. Successful completion of the two day program and post-program assignment will certify RNs to train and certify unlicensed DD personnel in DODD Certifications #1, #2 and #3. 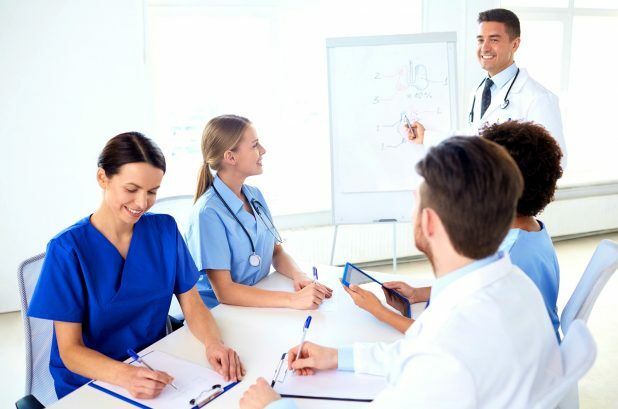 • Are seeking initial training for DODD Trainer certification to train DD personnel in the administration of medication and performance of nursing tasks. In order to receive Trainer Certification, registered nurses must complete Pre-Class training Assignment, attend both days of this program, complete written evaluations, and complete and submit the post-program independent study assignment and exam by the assigned deadlines. Further instructions will be given during the program. A pre-class assignment is required, to be brought on the first day of class. This assignment will be sent via email upon approval of RN Trainer application. 7 days prior to start of class. Have been a RN Trainer certified for this specific program prior. Have been working as an RN for at least the past 18 months? Nursing license in good standing with OBN? Have experience as a RN in the field of DD or with individuals with I/DD? Have good computer skills, ability to perform data entry in a timely manner and ability to upload documents.